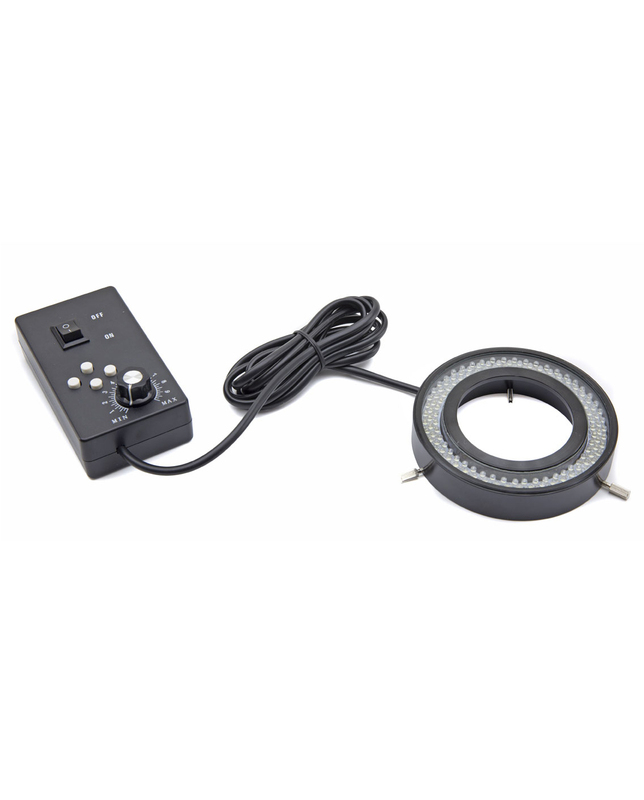 Professional lighting system including 144 LEDs (2W total power) for enhanced light uniformity and brightness. 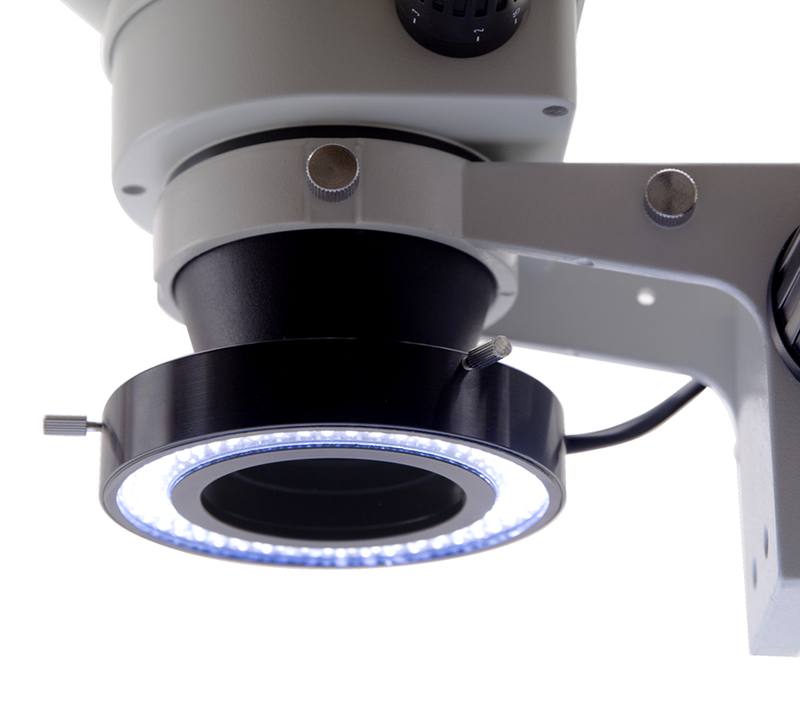 The ring light illumination is divided into 4 different zones, individually adjustable for selectable light zones. The separated, external control panel prevents interferences during use, whilst the sturdy metal structure makes it more durable and resistant. Diameter of the fixing ring: 60mm. Color temperature: pure white 6,300 K.
Illuminance: 6,000 lux (at 10 cm distance). CL-16.1 consists in a professional lighting system of 144 LEDs (2W total power) for enhanced light uniformity and brightness.